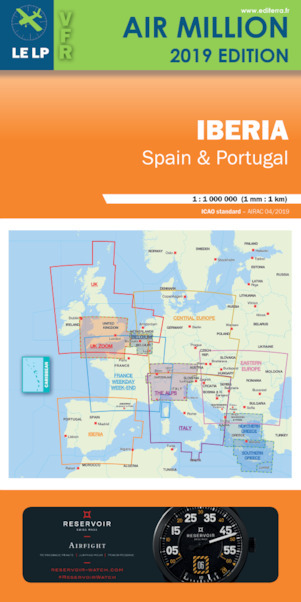 The VFR aeronautical chart for Spain and Portugal 1:1 000 000 is produced by Editerra. This new VFR chart allows you to fly all the days of the week in Spain and Portugal . All the info you may need for your VFR flight in Spain and Portugal (included ultralights, para-drooping areas). Clear design, double-sided printed, class airspace from A to E up to FL105. Printed in high resistant laminated quality paper.